A workplace accident or illness can take both a financial and physical toll on you and your family. You may be eligible for workers’ compensation, which can provide monetary, medical, and other support while you are disabled. If you seek these benefits, the Department of Industrial Accidents (DIA) will play a vital role in your claim. This agency oversees the workers’ compensation system in Massachusetts, and it can make decisions that affect your ability to receive benefits. The workers’ compensation lawyers at Pulgini & Norton have extensive experience in this area. A Boston DIA lawyer at our firm can advise and represent you in your claim for benefits. Approval of lump sum settlements. When someone is unable to work for at least five calendar days as a result of a work injury, the employer has to file a report with the DIA. The report must be filed within seven days from when the employer received notice of the incident. The employer will also report the injury to its insurer, which has 14 days to decide whether or not to pay the claimant benefits. It will then notify the DIA, the claimant, and the employer of its decision. 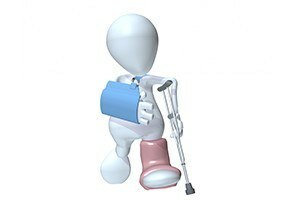 The insurer also has the option of paying benefits for up to 180 days without accepting liability for the injury. An insurer, however, may deny a claim for a number of reasons. For example, it may find that the injury is not work-related. An insurer may also accept liability for an incident but then seek to modify a claimant’s benefits. The DIA is responsible for handling any appeals and modification requests. The DIA resolves disputes in a workers’ compensation case. It will schedule a conciliation if a claim is filed for benefits, or if an insurer wants to stop or modify payments. A conciliation is an informal meeting between a DIA conciliator, a claimant, and an insurer. Both the insurer and the claimant are usually represented by their own attorneys. The DIA conciliator will try to get the parties to resolve their issues. If they cannot agree, the status of a claim remains the same, or the case can be referred to a conference with an administrative judge. A conference is an informal proceeding where the parties present oral arguments and their supporting documents to the judge. The judge then issues a conference order. If either party appeals the judge’s order, a hearing is held to decide the matter. A hearing is a formal legal proceeding. The issues are once again presented, usually to the same administrative judge who oversaw the conference, but this time the supporting documents and materials are heard under the state’s rules of evidence and the DIA regulations. For instance, the only medical evidence allowed at a hearing is the impartial physician exam, which is conducted by a neutral DIA physician. The hearing is also recorded. A claimant will need to prove that the injury was work-related, caused a disabling condition, and requires certain medical care. The judge will then issue a decision, which includes both findings of fact and law. The DIA also determines whether a claimant is eligible for vocational rehabilitation (VR) services. VR services are meant to help a worker return to his or her previous employment, if possible. If the DIA decides that a claimant is eligible, the insurer will have to cover the costs of a VR program. At Pulgini & Norton, our workplace accident lawyers have helped many injured employees navigate the workers’ compensation system, including proceedings before the DIA. We can prepare and present your interests to help you pursue the benefits you need. From our Boston offices, our workers’ compensation attorneys represent employees from communities such as Cambridge, Newton, and Hyde Park. Call us today at 781-843-2200 or contact us online for a consultation.